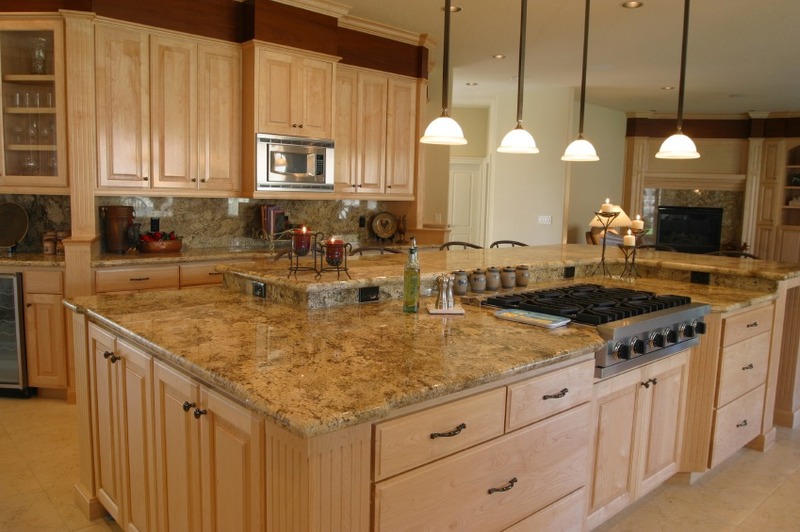 Custom offers a large assortment of kitchen cabinetry from a multitude of manufactures in all price ranges. 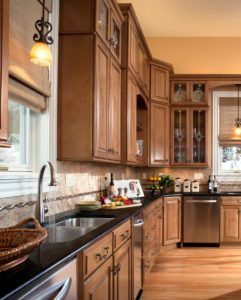 Custom distributes, designs and installs cabinetry for Waypoint, Candlelight Cabinetry, Merillat, and Kitchen compact just to name a few. Custom also can custom build any type of cabinetry, with any material to meet any specification or special need. Simply put we can design it, build it or use one of our many national suppliers to satisfy any cabinetry need from white shaker style doors to a rich mahogany custom wood panel. Most families spend a lot of time in the kitchen. 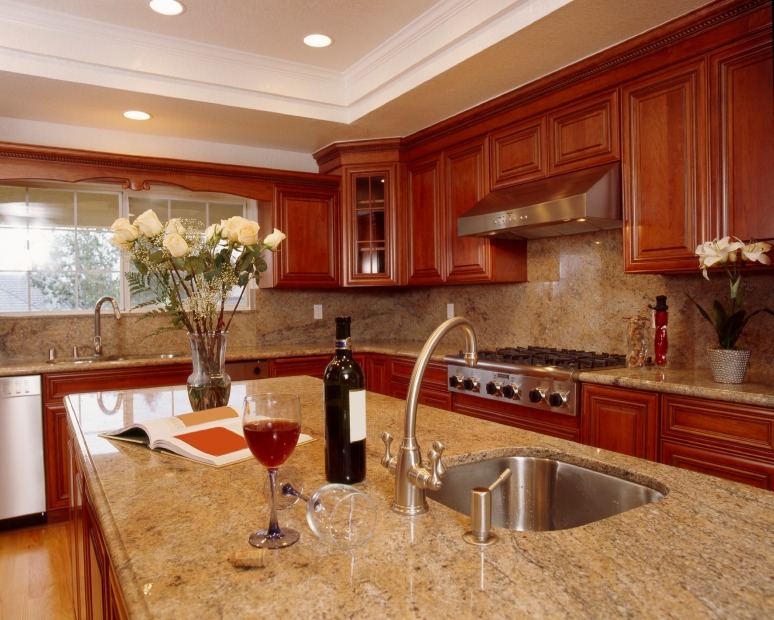 Whether its new construction or a kitchen remodel, we have the talent and resources to help make that space creative and functional regardless of what style of interior you have or desire. 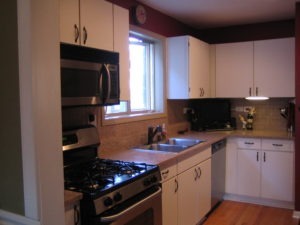 Painted cabinets are en vogue. The lines we carry offer a plethora of different colors and styles. If you have a specific color you want and our lines don’t have it as an option, no problem. We can customize any color and the level of distressing. 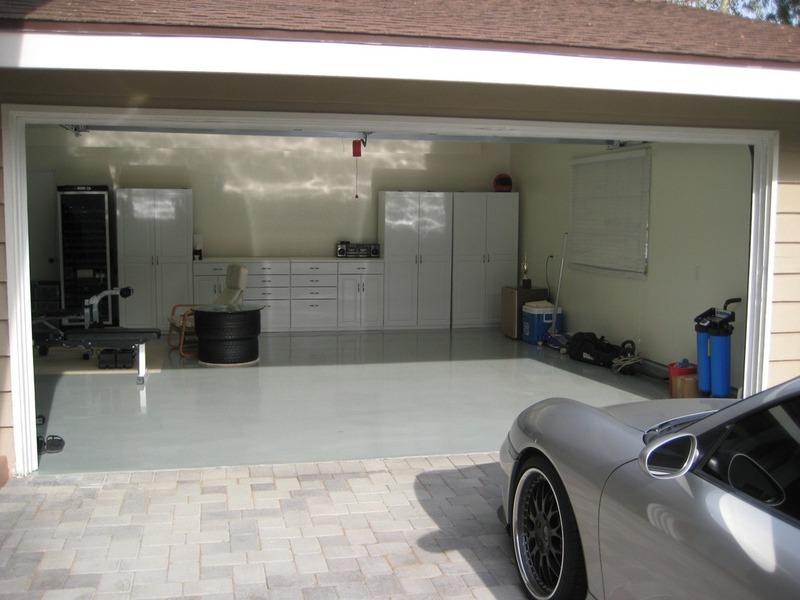 From a contemporary high gloss to a flat white with a natural distress, we can help. 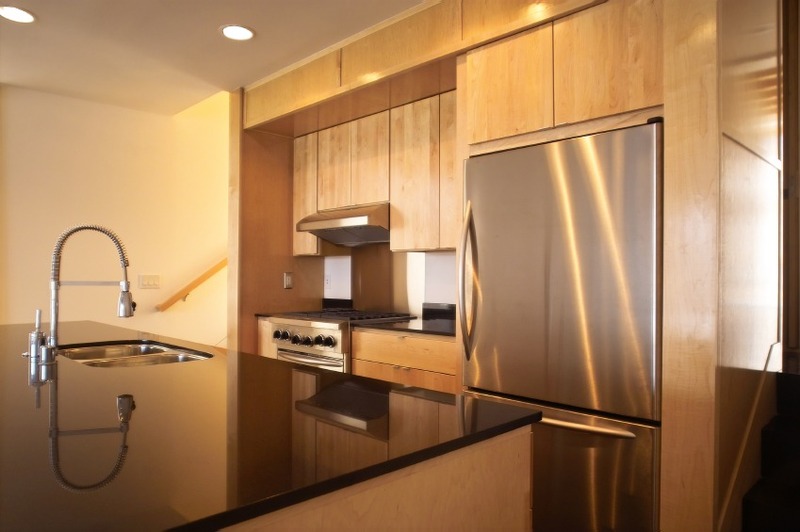 Stained cabinets never go out of style. They are classic, however, wood tones do trend based on style. Let us help you find the right style in the right finish to complete your dream kitchen. 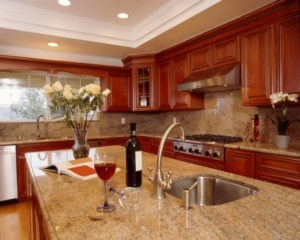 Function is very important in a kitchen. 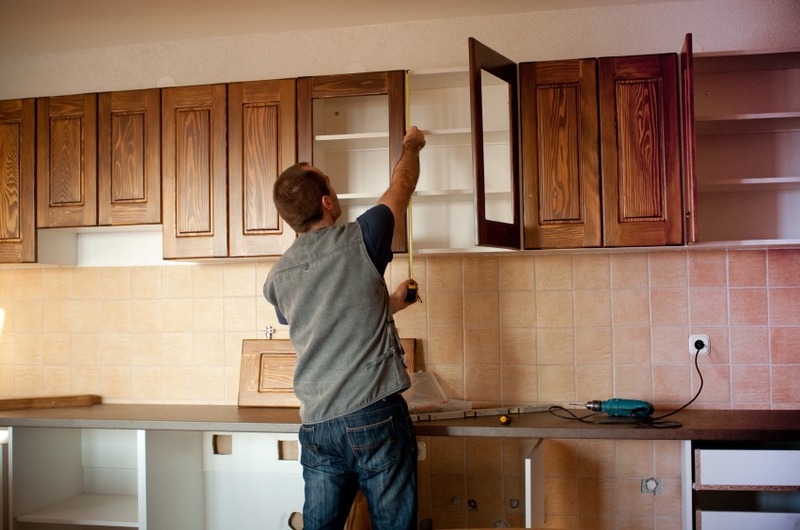 Custom cabinets allow for maximum storage and accessibility. Designing a custom kitchen is based on a working triangle. 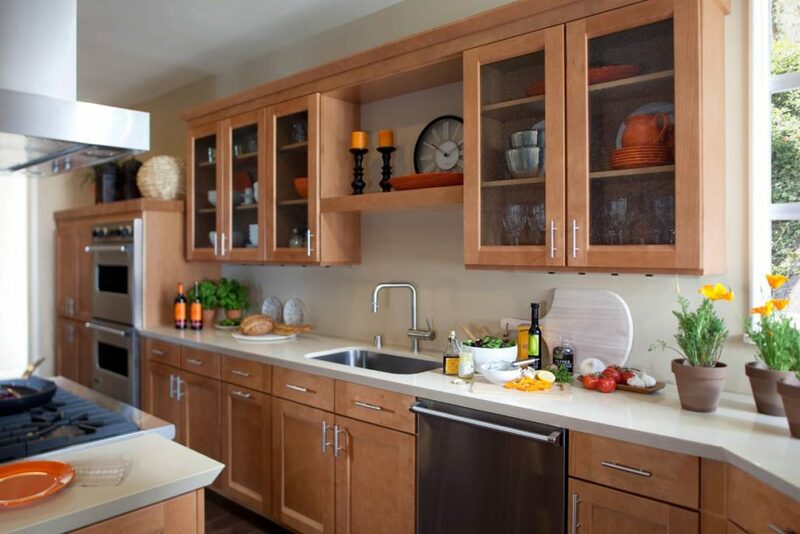 We can customize our cabinet design to provide you with a beautiful kitchen with seamless functionality. 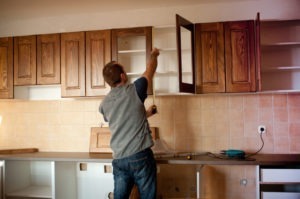 Custom Closets and Cabinets with over 25 years of cabinet experience, offers professionalÂ service, quality materials and competitive pricing.From small cabinet repairs to large commercial work… give us a call and will do our best to match or beat all competitor’s delivery dates and pricing.